DUCATI IS MORE THAN JUST MOTORCYCLES. IT’S A WAY OF LIFE. The spirit of the 92-year-old Italian motorcycle manufacturer transcends the mechanical. Whether experiencing the ultimate in thrills on a Monster or supporting the works riders at Mugello for the MotoGP, the same red passion courses through the veins of Ducati enthusiasts the world over. 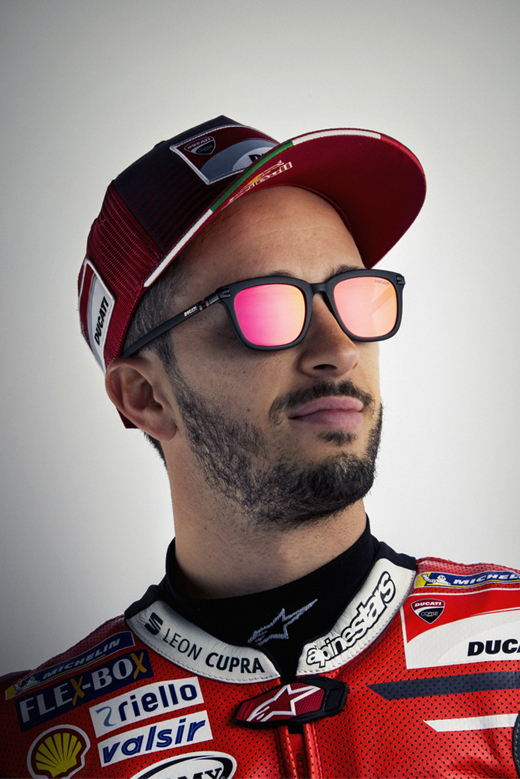 For the first time, the engineering prowess, soul and style of Ducati has been realised in performance optical and sunglass collections. Like a Panigale or a Hypermotard, the collections are a perfect mix of form and function suitable for both Ducati owners and fans. Each frame has been designed so that it can be worn underneath a crash helmet.